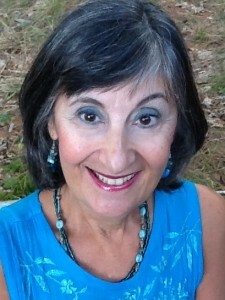 I am thrilled to welcome author Gayle Krause to my blog! Gayle stopped by to share some helpful writing tips and offer a critique giveaway for a YA, MG, or picture book to celebrate the launch of her young adult novel RATGIRL: Song of the Viper. I’ve been studying pitches lately, and absolutely love hers: When streetwise orphan, Jax Stone, discovers her singing voice has a hypnotic effect on rats and children, she uses her gift to outwit the tyrannical mayor of Metro City and his corrupt corporation. Gayle is also the author of ROCK STAR SANTA—a rhyming picture book about a 'rockin' Christmas Eve. It takes a special creativity to write a story that will capture and hold a teenager’s attention. It must compete with smartphones, video games, and social media. If you are interested in writing for the YA market, here are some writing tips, with examples from my story, RATGIRL: Song of the Viper, that will help you create a good young adult novel. You can adapt these to MG novels, as well. 1.Immerse your reader in a world they can recognize, but make it unique enough to be different from their lives. Okay, you’ve got fantasy and realistic stories, and a combination of both. Teens live in either the city, with large populations, or the country, with less people, and more animals. If your story takes place on Mars, the same rules apply – a largely populated space city or a lonely space station floating in the universe, somewhere. Only the homeless and poor live there because global warming has affected the earth, and the rich have fled to the New Continent (Antarctica, which after the snow and ice melted revealed a fertile, temperate land). The population can only venture to the surface at night because of the intense sun. There are more rats than people left in the abandoned city. 2.Teen readers understand love triangles. Everyday at school, someone is having a “love” crisis. Use this in your story to grab their heartstrings. Love triangles don’t always involve adults. 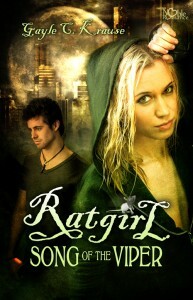 The triangle of love in RATGIRL involves Jax Stone, the main character, Colt Conrad, the young man who captures her heart, before she’s even aware he has, and her 5-year-old brother Andy, whom she protects with her life against the evils of the dying city. Jax struggles with her love and need for both of men in her life. 3.Always have a struggle between “good and evil.” More than one villain is encouraged. In any good story the villain has minions, but in RATGIRL the villains are not related, and the environment is the biggest villain of all. Sylvannis Culpepper, the tyrannical mayor of Metro City is greedy and selfish in his efforts to rid the city of the homeless. His plan for the children is diabolical, and Jax refuses to let Andy fall prey to the mayor’s plan, even sacrificing herself to save him. Otto Hoffmann, the pawnbroker who deals in trades for both money and food, has his own designs on escaping the city. He tries to swindle Jax out of more than a few scavenged trinkets and insinuates himself in her plan to save her brother. And the biggest villain is Mother Nature. Global warming has overtaken the earth. Humans can only surface from their underground hideaways at night to trade for food and sell their services. The daytime sun is deadly. 4.Describe your character though their emotions and actions, don’t tell us about their emotions and actions. This is a hard one to give examples for, but what I tell my critique partners, and it works for me, is to NEVER use I see, I hear, I smell, I feel, I taste. Yes, it’s the 5 senses, and yes, you’re supposed to use them, but you must SHOW them, not TELL about them, and you do this through a character’s actions, emotions, and dialogue. 5.Don’t be afraid to use a vocabulary word that teens may not know. If the sentence it is used in is written well, the reader will garner it’s meaning from the scene. Teen readers love to figure out challenges as they read, not just be told everything they need to know. I write what I like to read, and I’ve been an avid reader my whole life. I tend to set up a situation that has a mystery or question to it, so that the reader can connect the clues to solve the problem as the story goes along. Advanced vocabulary, or foreign words are favorites of mine. Sprinkled throughout the manuscript, they work to enhance the reader’s knowledge. Thanks for spending time with Jax Stone, and me. Please enter using the Rafflecopter link below for a chance to win a first chapter critique of your YA or MG novel (up to 5 pages), or a full picture book critique. Random.org will select the winner on Sunday, February 24. That's great, Becky! I've learned so much from reading books aimed at my target audiences (I write MG and PB). Love Gayle's advice and examples! As an editor, I regularly cut writer's use of "I thought," "I saw," "I heard," "I felt". Just show their feelings. This technique is called deep point of view (works just as well in third person) and it really helps create a nice sense of immediacy with the character. I'm glad you enjoyed the advice and samples. Sounds like a fabulous book, and thanks for the invaluable advice! I'm making the jump to include writing a YA novel along with my picture books, so it really hit me at the right time. Thanks so much! You're welcome. I'm glad that Gayle's writing tips came at the perfect time for you. Good luck with your YA! Number 5 is the DANG best advice. I wish I'd read this a few years back when I first began my journey (to the center of the writing earth:)) Everything would have been much easier. Can't wait to grab this book this weekend. I entered the giveaway. Hi, those are great tips. I like #4. Janet Smart Would love to win the edit. And thank you, Robin, for sharing my blog link with Sharon! What great ideas and what a terrific giveaway. Glad I could inspire some of you in your writing journey. Thanks, Mindy for allowing me to meet with your readers. Love triangles definitely seem to be the money maker when it comes to YA. I think this is great advice.